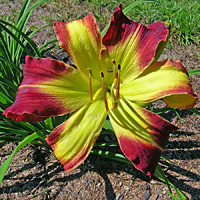 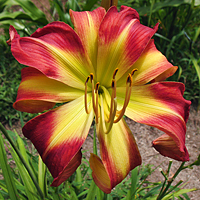 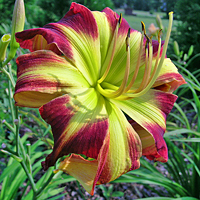 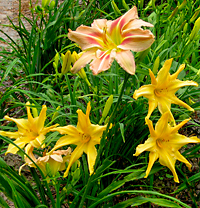 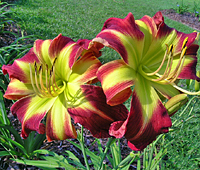 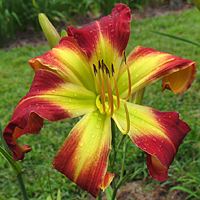 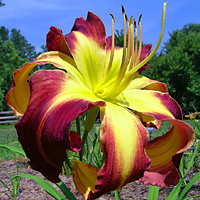 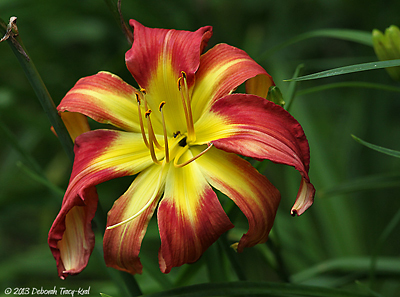 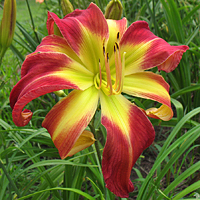 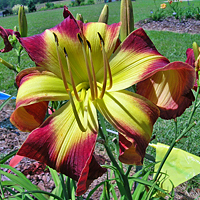 H. 'Moosa Pa Loosa' is a cascading unusual form daylily with brilliant color clarity and distinction. 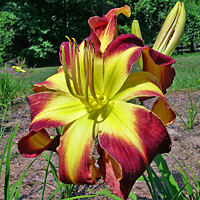 Registered as 20% polymerous after winning the Best Seedling Award for a Region 15 hybridizer at the 2006 AHS Region 15 Summer Meeting I have learned over the years that the polymerous nature of this plant is much greater. 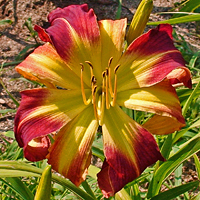 Also, the hybridizing potential of this flower is astonishing as witnessed by the 2013 introduction H. 'Good Girls Do'. 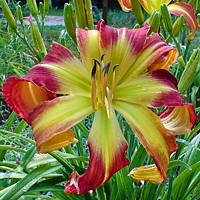 H. 'Moosa Pa Loosa' is a dormant diploid with a registered bloom size of 7½" on 30' scapes with 4-way branching. 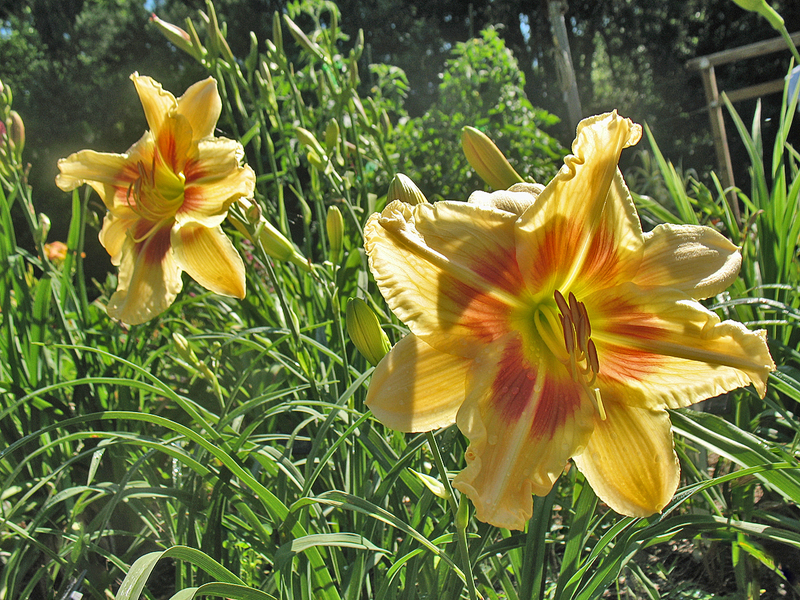 However, observation reveals a variable bloom size as I have recorded it from 6" to 9". 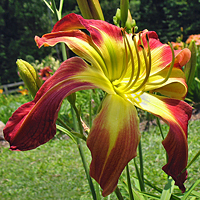 The polymerous blooms also tend to cascade more excessively than the 3×3 blooms. 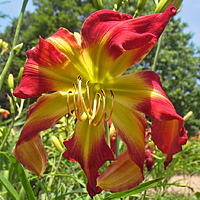 H. 'Moosa Pa Loosa' is also a reliable rebloomer with a higher concentration of polymerous blooms occurring on rebloom. 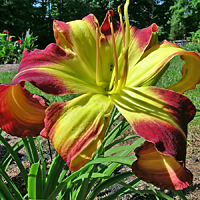 Hybridizers of spiders, unusual forms, and polymerous flowers seek this flower for its great genetics, fertile pollen, and ability to set pods. 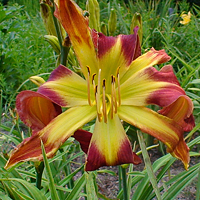 The parentage is H. 'Carolina Octopus' × H. 'Moana Gloria May'. 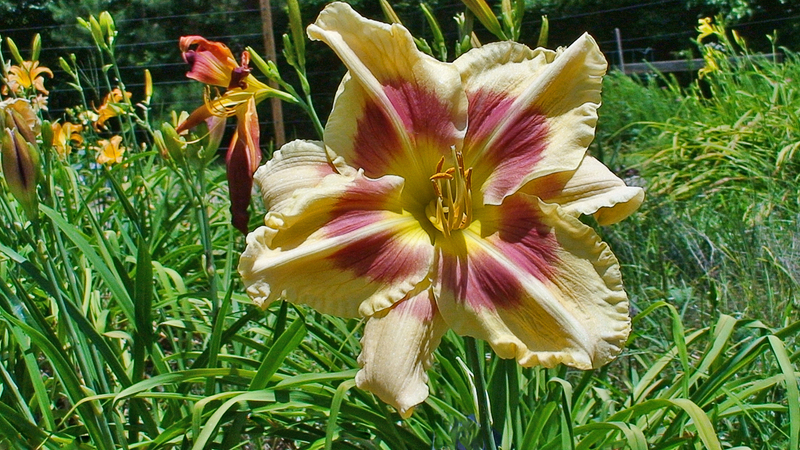 H. 'Moosa Pa Loosa' is one of my most after introductions and one of my all-time favorite flowers. 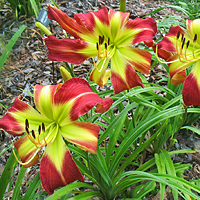 These three pictures (above) show the actual blooms that were voted on by attendees of the 2006 AHS Region 15 Summer Meeting where H. 'Moosa Pa Loosa' won the award for Best Seedling hybridized by a Region 15 hybridizer. 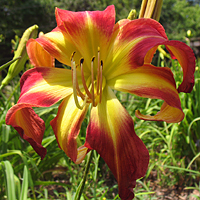 Here is a picture of H. 'Moosa Pa Loosa' that was sent to us by Deborah Tracy-Krall growing in her zone 5 New York garden.